The San Francisco Commercial Real Estate Marketplace is diverse, dynamic and complex. While the City and County of San Francisco is confined to an area of only 49 square miles, the Commercial Real Estate Market is divided into multiple submarkets consisting of dizzying layers of zoning laws, height limits, and special use districts. These zoning laws not only dictate development projects, but determine what types of businesses can go where. Therefore, it is critical to understand where your business can go, before you get your heart set on operating your industrial manufacturing plant in Jackson Square. Obtaining brokerage services, like those offered at Calco Commercial Real Estate, can help any entrepreneur, expanding or relocating business, decipher the zoning code and develop an effective tenancy strategy. Like-kind commercial real estate in San Francisco tends to be clustered together. 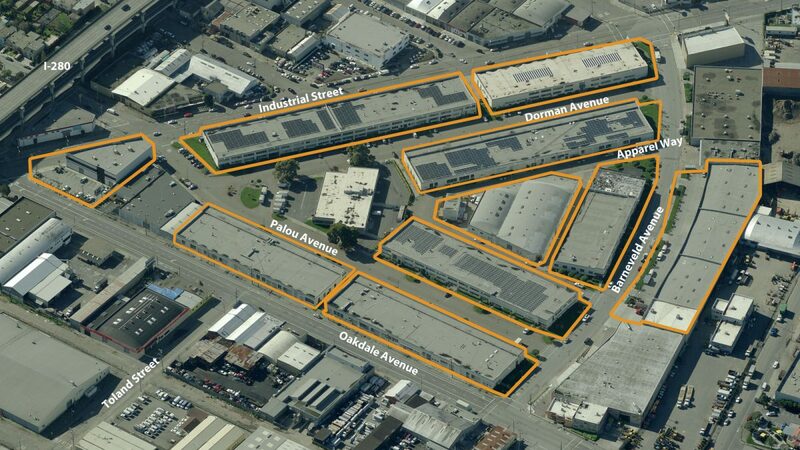 For instance the Bayshore/Bayview, and India Basin submarkets tend to be heavy industrial in nature, thereby housing the majority of warehouse in the City. Conversely, the Financial District primarily offers office and retail space. There are Mixed-Use Districts located in various neighborhoods such as the South of Market Area (SOMA), Potrero Hill/Dogpatch and Mission District. However, just when you think your use might be perfect for a specific neighborhood, an individual building may be designated as a “historical landmark,” with a host of other uses/restrictions. Once again, retaining a commercial real estate broker specializing in the San Francisco market can help determine the best location for your specific business. Once a few neighborhoods/zones have been identified for the ideal location of your business, it is next critical to note that not all commercial real estate is priced equally in San Francisco. Two buildings similar in construction, amenities and condition will vary greatly in price depending on the neighborhood (much like the residential market). When it comes to pricing, it’s best to remember the old cliché about the three most important factors of real estate: location, location & location. While location is not the only factor affecting price, it is a key component. Other elements that affect commercial real estate pricing in San Francisco include: condition, parking availability, close proximity to public transit, amenities, absorption & vacancy rates, ADA and seismic compliance, etc. As a Tenant, it is imperative to hire a commercial real estate broker who can help negotiate a fair price, improvement packages, and early occupancy opportunities. Another huge advantage for Tenants: typically the Landlord pays for any commissions earned by a lease transaction. Therefore, a Tenant can utilize a broker with little to no financial responsibility. Lastly, seasoned brokerage firms, such as Calco Commercial, have a direct pulse to the marketplace and understanding of available properties and even off-market opportunities. As a Landlord, using a brokerage firm can streamline the leasing process, lower vacancy periods, increase visibility, and ultimately create higher revenue streams for commercial property assets. And, Landlord’s only pay commissions on completed transactions! So, as a Landlord, why not let a broker professionally market a space and complete all the leg work on your behalf? The San Francisco commercial real estate marketplace can be a daunting place to enter, but Calco Commercial can simplify the process while offering definitive results. For more in depth market information, contact the Calco Commercial office at 415.970.0000. Commercial Real Estate Construction Rises! The San Francisco Business times reported today that both manufacturing activity and construction spending has increased for the third month in a row. With the leasing of 41 Dorman to Komater Electric, Calco Commercial has leased nearly all of the 410,000+/- square foot multi-tenant complex. Only the 13,252+/- single identity corner building located 2121 Oakdale Avenue remains available (2121 Oakdale). The Valhalla Industrial Complex is the #1 Industrial Park ion San Francisco consisting of all concrete, open span, and functionally designed light industrial and office spaces. Calco Commercial Brings 10+/- Acres at Cow Palace to Market! Calco Commercial has received the exclusive agreement to lease 10+/- acres of paved land area in the lower lot of the Cow Palace. The site is divisible and includes up to 50,000+/- square feet of concrete, clear span warehouse space with drive-in loading doors. 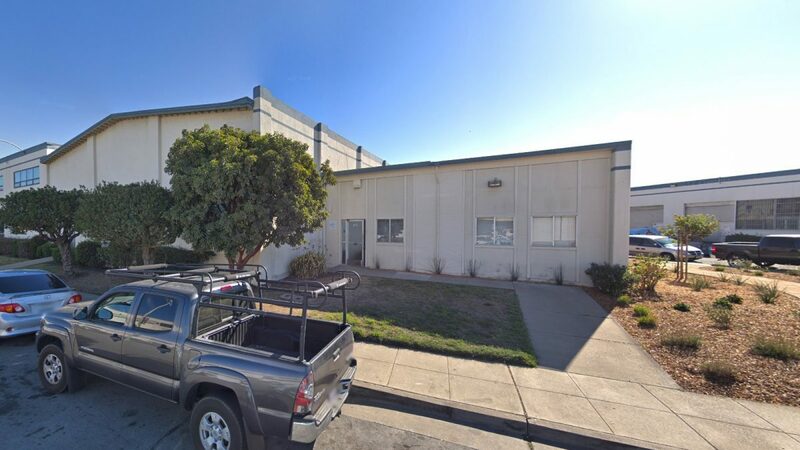 The property is zoned C-2 Heavy Commercial and is suitable for a variety of exterior storage and/or parking uses, and is centrally located between San Francisco & South San Francisco. Another way of thinking about the Cap Rate (using the example above) is that one-tenth of the building’s cost is paid by the year’s net proceeds. Remember that calculation of the Net Operating Income (NOI), does not include debt services, depreciation or capital improvements. If you have ever been in a conversation with a real estate professional and been overwhelmed by the jargon, you’re not alone. From “Triple Net” to “Gross Absorption,” commercial real estate lingo can be a little intimidating. But, Calco Commercial is here to help cut through the confusion by offering the following overview of common real estate terms. With this “cheat sheet,” you will be able to converse with industry pros in no time. Build-to-Suit: A term describing a particular property, developed specifically for a certain tenant to occupy, with structural features, systems, or improvement work designed specifically for the needs of that tenant. A build-to-suit can be leased or owned by the ten- ant. In a leased build-to-suit, a tenant will usually have a long term lease on the space. Class A: A classification used to describe buildings that generally qualify as extremely desirable investment-grade properties and command the highest rents or sale prices compared to other buildings in the same market. Such buildings are well located and provide efficient tenant layouts as well as high quality, and in some buildings, one-of-a-kind floor plans. They can be an archi- tectural or historical landmark designed by prominent architects. These buildings contain a modern mechanical system, and have above-average maintenance and management as well as the best quality materials and workmanship in their trim and interior fit- tings. They are generally the most attractive and eagerly sought by investors willing to pay a premium for quality. Class B: A classification used to describe buildings that generally qualify as a more speculative investment, and as such, command lower rents or sale prices compared to Class A properties. Such buildings offer utilitarian space without special attractions, and have ordinary design, if new or fairly new; good to excellent design if an older non-landmark building. These buildings typical- ly have average to good maintenance, management and tenants. They are less appealing to tenants than Class A properties, and may be deficient in a number of respects including floor plans, condition and facilities. They lack prestige and must depend chiefly on a lower price to attract tenants and investors. Class C: A classification used to describe buildings that gener- ally qualify as no-frills, older buildings that offer basic space and command lower rents or sale prices compared to other buildings in the same market. Such buildings typically have below-average maintenance and management, and could have mixed or low tenant prestige, inferior elevators, and/or mechanical/electrical systems. These buildings lack prestige and must depend chiefly on a lower price to attract tenants and investors. Developer: The company, entity or individual that transforms raw land to improved property by use of labor, capital and entrepre- neurial efforts. Flex Building: A type of building designed to be versatile, which may be used in combination with office (corporate headquarters), research and development, quasi-retail sales, and including but not limited to industrial, warehouse, and distribution uses. A typi- cal flex building will be one or two stories with at least half of the rentable area being used as office space, have ceiling heights of 16 feet or less, and have some type of drive-in door, even though the door may be glassed in or sealed off. Industrial Building: A type of building adapted for such uses as the assemblage, processing, and/or manufacturing of products from raw materials or fabricated parts. Additional uses include warehousing, distribution, and maintenance facilities. The pri- mary purpose of the space is for storing, producing, assembling, or distributing product. Landlord Rep: (Landlord Representative) In a typical lease trans- action between an owner/landlord and tenant, the broker that represents the interests of the owner/landlord is referred to as the Landlord Rep.
Leasing Activity: The volume of square footage that is commit- ted to and signed under a lease obligation for a specific building or market in a given period of time. It includes direct leases, subleases and renewals of existing leases. It also includes any pre-leasing activity in planned, under construction, or under renovation buildings. Office Building: A type of commercial building used exclusively or primarily for office use (business), as opposed to manufactur- ing, warehousing, or other uses. Office buildings may sometimes have other associated uses within part of the building, i.e., retail sales, financial, or restaurant, usually on the ground floor. Property Manager: The company and/or person responsible for the day-to-day operations of a building, such as cleaning, trash removal, etc. The property manager also makes sure that the vari- ous systems within the building, such as the elevators, HVAC, and electrical systems, are functioning properly. Quoted Rental Rate: The asking rate per square foot for a par- ticular building or unit of space by a broker or property owner. Quoted rental rates may differ from the actual rates paid by tenants following the negotiation of all terms and conditions in a specific lease. Rentable Building Area: (RBA) The total square footage of a building that can be occupied by, or assigned to a tenant for the purpose of determining a tenant’s rental obligation. Generally RBA includes a percentage of common areas including all hall- ways, main lobbies, bathrooms, and telephone closets. Sales Volume: The sum of sales prices for a given group of build- ings in a given time period. Seller: The individual, group, company, or entity that sells a par- ticular commercial real estate asset. Submarkets: Specific geographic boundaries that serve to delin- eate a core group of buildings that are competitive with each other and constitute a generally accepted primary competitive set, or peer group. Submarkets are building type specific (office, industrial, retail, etc. ), with distinct boundaries dependent on different factors relevant to each building type. Submarkets are non-overlapping, contiguous geographic designations having a cumulative sum that matches the boundaries of the Market they are located within (See also: Market). Under Construction: The status of a building that is in the process of being developed, assembled, built or constructed. A building is considered to be under construction after it has begun construc- tion and until it receives a certificate of occupancy. Vacant Space: Space that is not currently occupied by a tenant, regardless of any lease obligation that may be on the space. Vacant space could be space that is either available or not avail- able. For example, sublease space that is currently being paid for by a tenant but not occupied by that tenant, would be considered vacant space. Likewise, space that has been leased but not yet occupied because of finish work being done, would also be con- sidered vacant space. YTD: Abbreviation for Year-to-Date. Describes statistics that are cumulative from the beginning of a calendar year through what- ever time period is being studied.